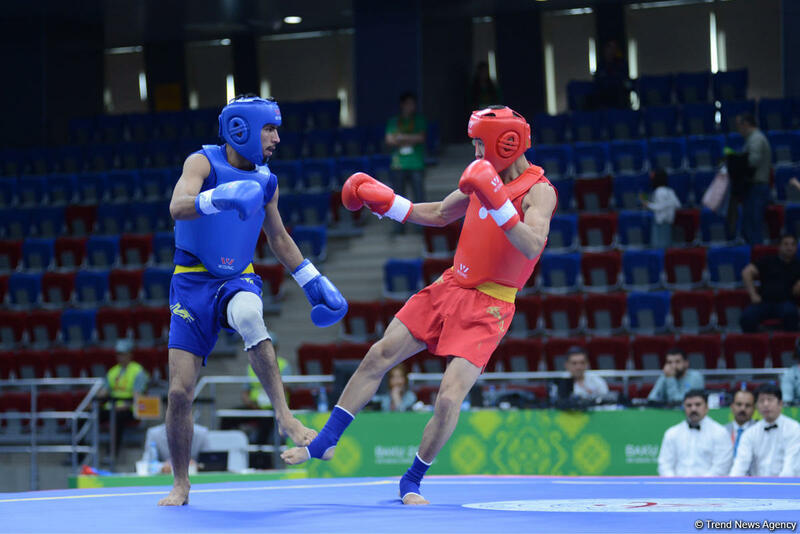 Vugar Karamov and Parviz Abdullayev have advanced to semi-finals in wushu at the 4th Islamic Solidarity Games in Baku. Vugar Karamov (70kg) defeated Turkmen athlete Salaheddin Bayramov in the quarter-finals (2:0). Another Azerbaijani athlete Parviz Abdullayev (75kg) gained a victory over Turkey’s Ismail Uzuneri (2:0). Baku 2017 Islamic Solidarity Games started May 8 and will last until May 22 in Azerbaijan’s capital.